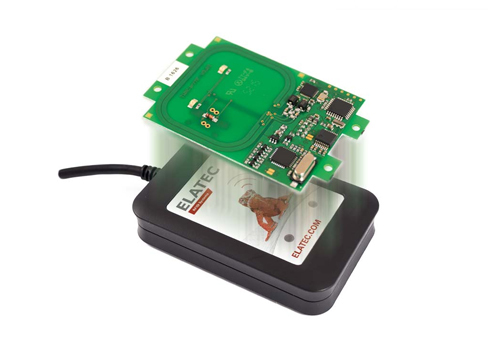 Elatec's family of reader/writers is available in various forms which are designed for a wide variety of applications. Thanks to the underlying TWN Technology their behavior can be adjusted in order to act accordingly in different identification scenarios. 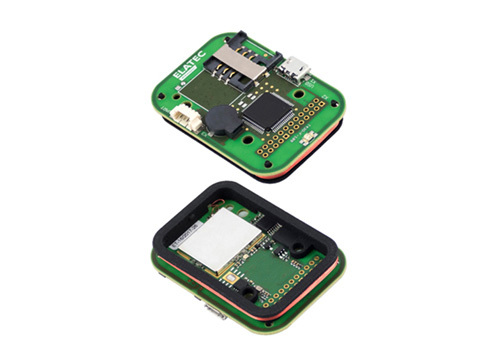 The underlying technology "TWN MultiTech"
Elatec’s TWN4 MultiTech is a contactless RFID reader/writer and a direct enhancement of the TWN3 with the same mechanical dimensions (OEM PCB and Desktop Housing). 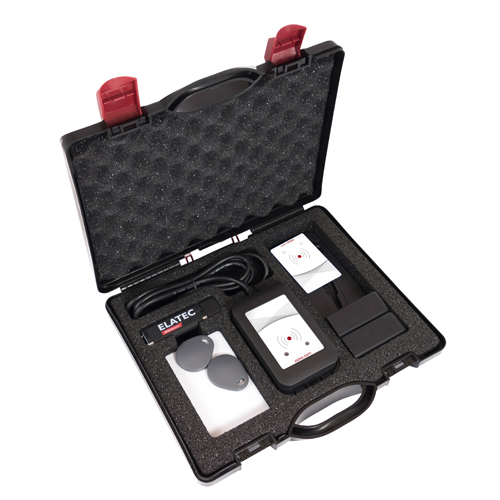 The TWN4 MultiTech family of transponder readers and writers allows users to read and write to almost any 125 kHz / 134.2 kHz and 13.56 MHz tags and/or labels. TWN4 MultiTech also supports all major transponders from various suppliers like ATMEL, EM, ST, NXP, TI, HID, LEGIC, and ISO standards like ISO14443A (T=CL ), ISO14443B (T=CL), ISO15693, ISO18092 / ECMA-340 (NFC). 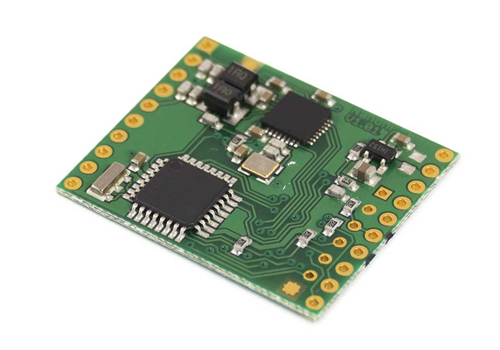 Key features of the TWN4 MultiTech include a powerful SDK for writing Apps which are executed directly on the reader, infield upgradeable firmware, direct chip-commands support, and additional interfaces for the OEM PCB version. TWN4 MultiTech simultaneously reads more than fifty RFID technologies from both the low frequency (LF) and high frequency (HF) bands, including NFC. This provides the option to select as many of the technologies required instead of being forced to select just a few like most other readers. 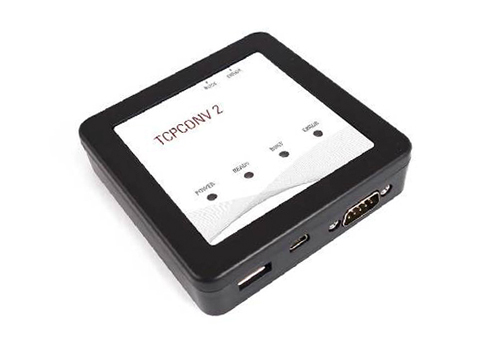 The TWN4 MultiTech 2 BLE reader is an all-in-one proximity reader for the following frequencies: 125 kHz, 134.2 kHz, 13.56 MHz, NFC and Bluetooth Low Energy. 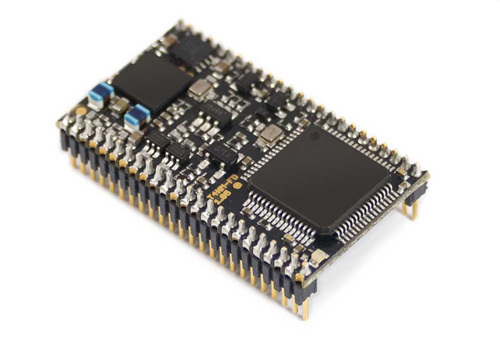 It can be connected through UART (TTL, RS232), USB, as well as Ethernet, and is available as a PCB and with Desktop housing. TWN4 MultiTech 2 BLE is also compatible with over 50 of the most common RFID technologies currently being used around the world. 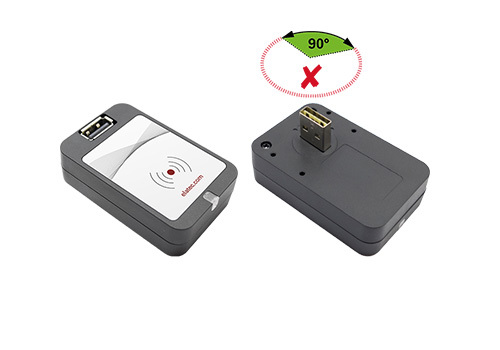 Furthermore, in order to expand the realm of supported contactless identification methods, the all-in-one reader also supports NFC and Bluetooth Low Energy. It is compatible with the two most commonly used smartphone operating systems - Android and iOS. Thus it can also be integrated in mobile identification applications. 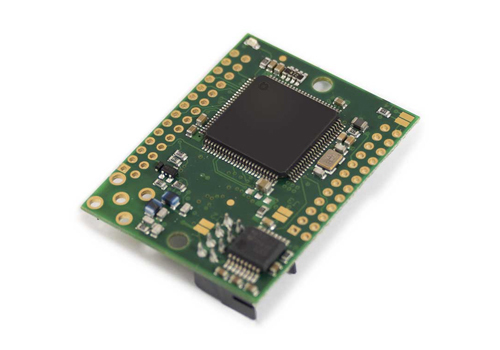 In addition, TWN4 MultiTech 2 BLE is flexibly programmable – when communicating with RFID transponders it can make automated decisions based on predefined rules. This type of configuration can easily be re-applied to other card readers by using a contactless configuration card, which considerably reduces installation times in large projects. For further information please check out the technical data sheet and the Development Pack. The new Elatec universal RFID reader/writer module supports all current RFID standards for the frequency ranges 125 and 134.2 kHz as well as the 13.56 MHz band, including NFC. The latter, when combined with BLE, can allow iPhones and Android smartphones to be used for identification and wallet solutions. 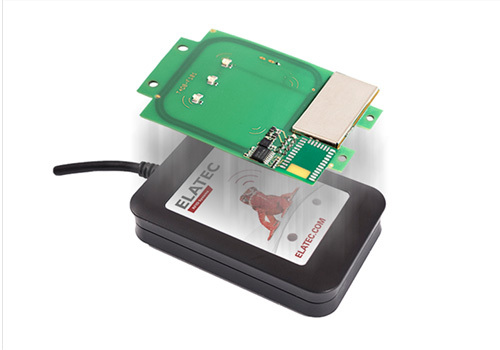 Elatec’s TWN4 MultiTech SmartCard reader/writer includes both a contactless RFID interface as well as an integrated contact card slot. 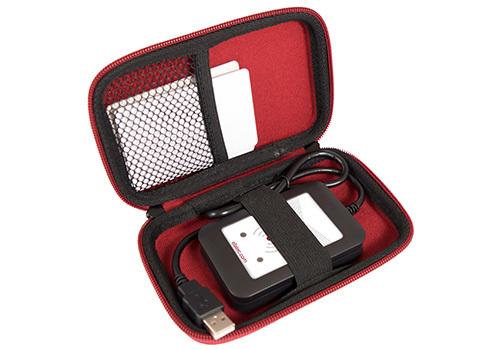 This unique combination is designed for easy integration into various applications with an additional layer of security for highly sensitive information. The reader can also be programmed with a script language for autonomous execution of even complex commands like login procedures, increment/decrement functions and many more. 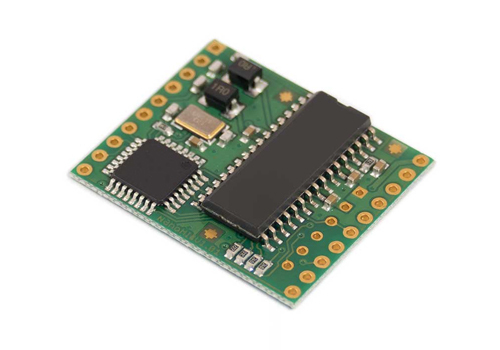 It allows users to read and write almost any 125 kHz/134.2 kHz and 13.56 MHz transponder supporting all major technologies from various suppliers like ATMEL, EM, ST, MIFARE NXP, TI, HID, LEGIC, etc. and many ISO standards such as ISO14443A/B including layer 4 (T=CL), ISO15693, and ISO18092 / ECMA-340 (NFC). 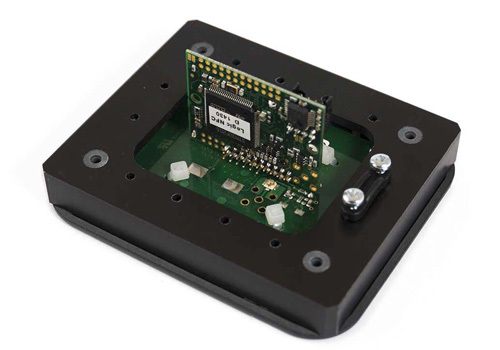 The new TWN4 USB Front Reader integrates RFID (125 kHz, 134.2 kHz and 13.56 MHz), NFC and Bluetooth Low Energy capabilities into a compact but powerful reader and can be easily connected to an external USB port. It has a rotatable USB interface, which offers a 360° mounting opportunity, as well as an USB-Port, which can be disabled. Its reduced size combined with excellent read/write performance makes it the perfect reader for various applications including but not limited to print solutions, healthcare applications, or single sign-on. The TWN4 USB Front Reader allows users to read and write almost all common worldwide 125 kHz, 134.2 kHz and 13.56 MHz tags and/or labels. 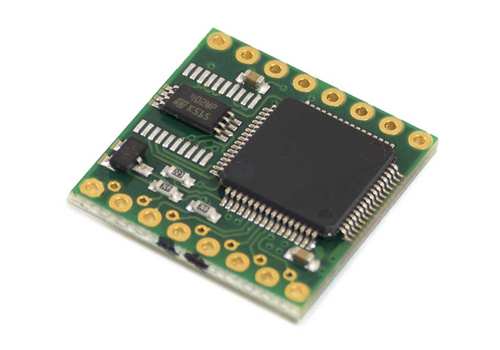 It supports all major transponders from various suppliers like ATMEL, EM, ST, NXP, TI, HID etc. and ISO standards like ISO14443A/B (T=CL), ISO15693, ISO18092 / ECMA-340 (NFC). 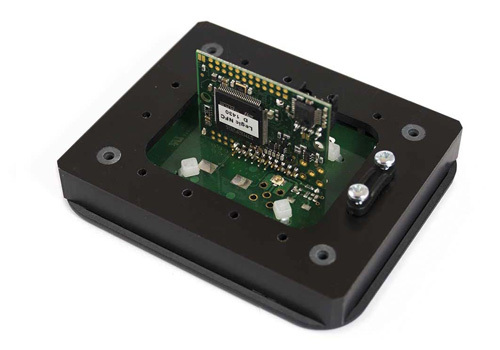 The TWN4 MultiTech 3 universal RFID reader/writers are also available as single-frequency modules for less complex identification solutions. Yet like the other products from the TWN4 family, they offer full support of the underlying technology "TWN4 MultiTech" and thus a great flexibility by the customization. The single frequency RFID readers from the TWN4 MultiTech family are the successorsto the TWN3 family. Just like their predecessors, they arepositioned as a more affordable alternative toour multi-frequency deviceswhilst continuing to incorporate the flexibility of the TWN4. Elatec’s TWN4 Logi HF reader/writer allows users to read and write to almost any 13.56 MHz tags and/or labels. 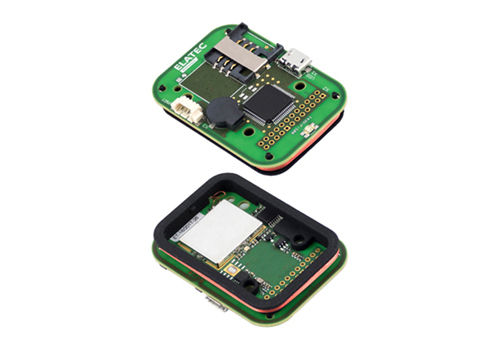 It supports all major transponder technologies from various suppliers like ATMEL, EM, ST, NXP, TI etc. and ISO standards like ISO14443A/B (T=CL), ISO15693. 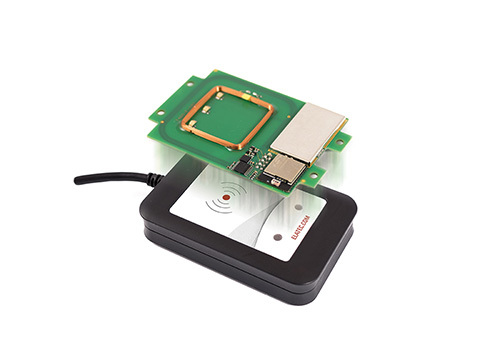 The RFID readers from the TWN3 family each support only low or high frequency and depending on the model NFC. 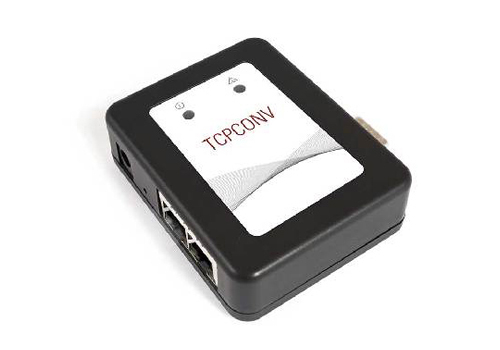 They can be connected to the main HOST application via USB or RS232 cable. They can also be programmed with a script language for autonomous execution of even complex commands like login procedures, increment/decrement functions and many more. Depending on the model at hand, Secure Access Module (SAM) might be supported for enhanced security and cryptographic performance. This enables the application to perform secure transactions (e.g. payment terminals). 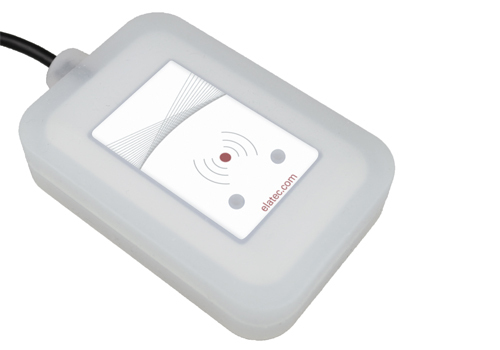 The handheld RFID reader by Elatec is also capable of reading multiple RFID technologies in the 125 kHz frequency range. 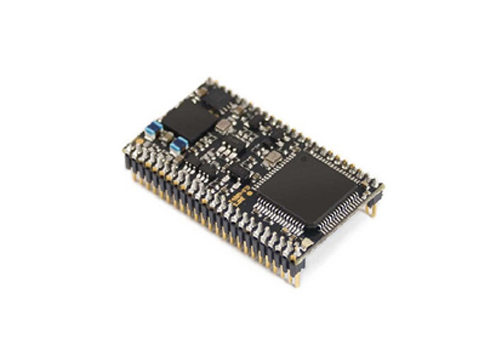 It is classified as compatible with IP41 or IP65 standards, has low power consumption and can be connected to the main host application via RS232 or USB cable. 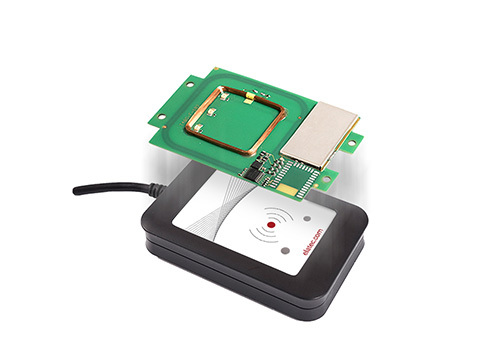 Our multi-frequency RFID modules are designed for integration into machines or other devices. 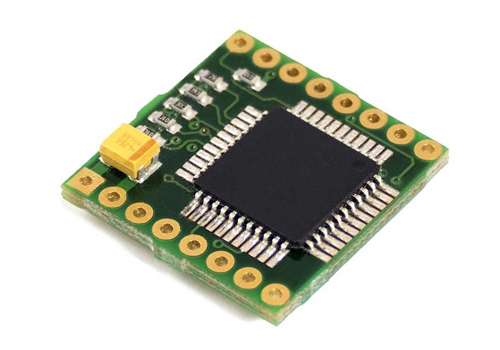 They are offered in various sizes and can be connected to external antennas through cables or printed circuit boards. Depending on the machine size this can be an important space saving feature. 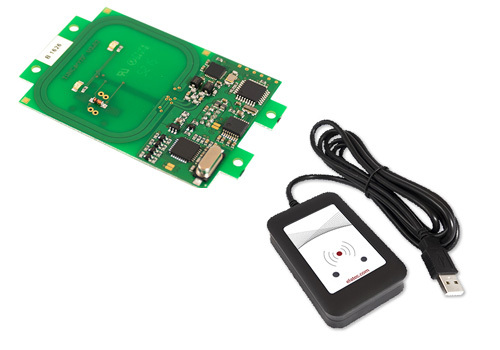 Just like our standard TWN4 MultiTech readers, these modules support all current RFID technologies from LF and HF including NFC. They are highly customizable and their behavior can be automated depending on various criteria. For specific details please check out the corresponding data sheets. 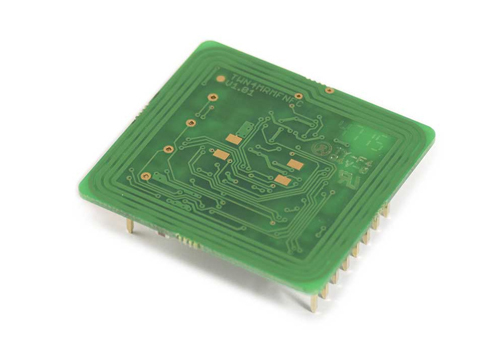 As addition to our modules we also offer compatible RFID antennas and RFID antenna kits. 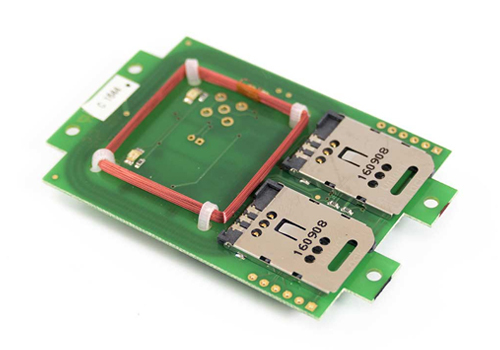 It is very easy to integrate or to test the performance of the TWN4 reader/writer modules with a suitable external antenna using various connectors (i.e. SMA, SMB, SMC, MCX (connector HF1) and UMCC/U.FL (connectors HF2). The main purpose of the TCP converters is to enable RFID authentication on older printers (single function printers). 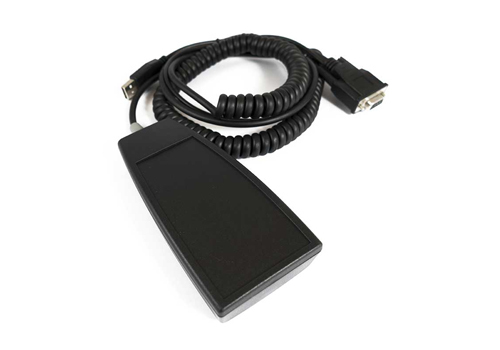 They can be connected on one end to a Local Area Network (LAN) and on the other end to a RFID reader via RS232 or USB cable. If a person swipes a card over the reader, the information is sent over the network to a local print server and depending on the response a print job can be released. As a result the purchase of an expensive Multi Functional Printer (MFP) can be completely omitted. 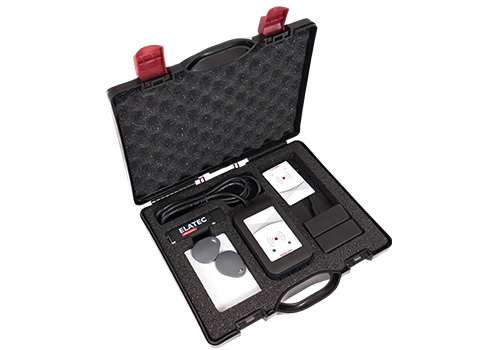 The TechTracer Lite /Kit is a compact solution enabling on-site identification of the most common LF and HF RFID technologies in use worldwide. 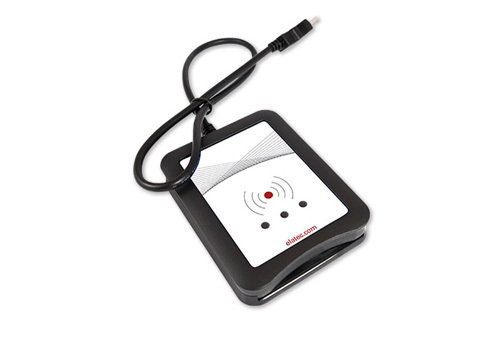 On demand demonstrations or identification of RFID transponder technologies are easily accomplished by presenting customer RFID cards to the reader which then displays details of the RFID technology in use on a PC. The TWN4 readers inherently support over 60 RFID technologies in the 125 kHz, 134.2 kHz and 13.56 MHz frequency ranges. 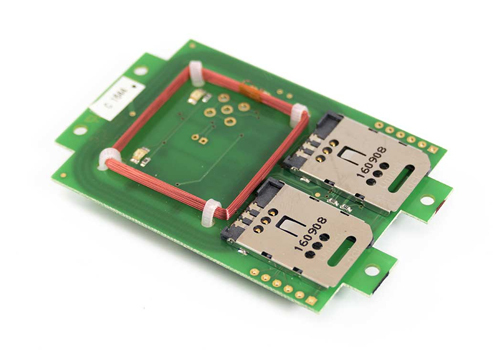 The TWN4 Configuration Card configures a device to read only certain technologies or frequencies. Its greatest advantage is that it can also be used to (re)program large numbers of proximity readers via air interface without disassembling the device or connecting it to a computer. This significantly reduces the configuration effort required for large-scale projects. Detailed information about the setup on the configuration card and the project associated with it can be accessed only by the individual who programmed the card. No access is provided to any project-specific confidential data. Furthermore, the reader’s ability to be configured by simply reading configuration cards does not interfere with critical applications. For additional security, subsequent programming attempts can be password protected.